An important factor in quality improvement projects, surprisingly, is creativity. How do we generate and select interventions for a system? How do we create entire new systems that have high levels of quality designed in? The TRIZ tool (pronounced as “trees”) helps us design creative interventions in a focused, effective manner. 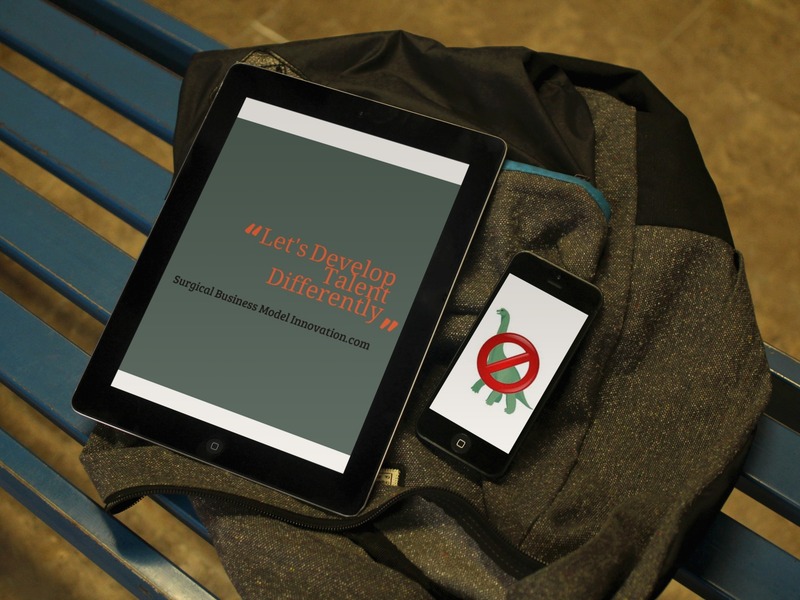 It’s a typical criticism: Lean and the Six Sigma DMAIC pathway do not allow for creativity. 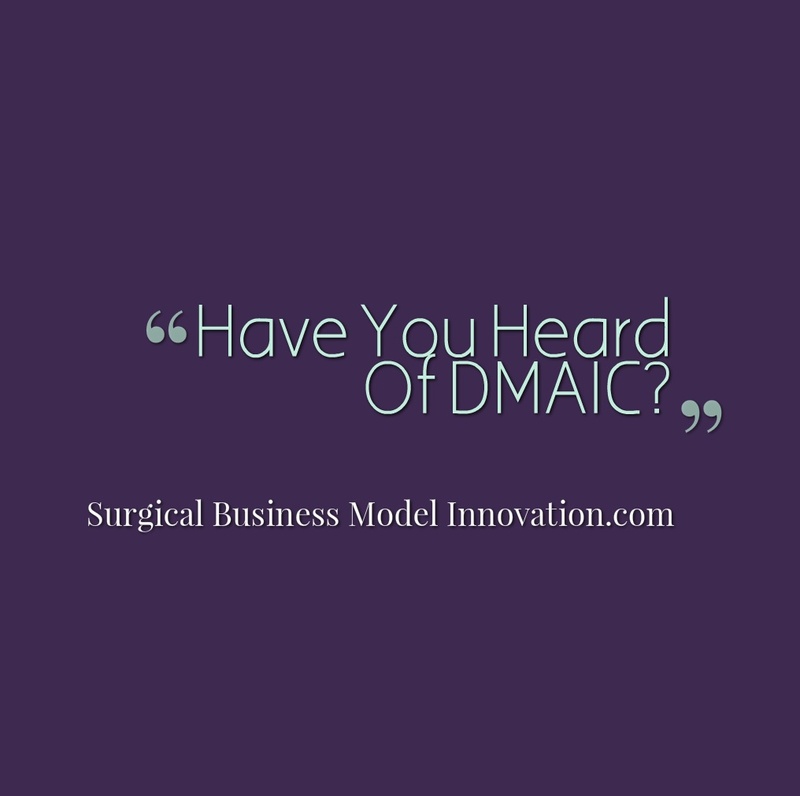 Clearly, to anyone who has participated in a DMAIC project, there is quite a bit of room for creativity. Specifically, Six Sigma does not prescribe the specific interventions to make a system better. It does, however, give certain philosophies like poka-yoke. As we begin to explore TRIZ methodology, let’s take a moment to review one of the design philosophies routinely used by Six Sigma: poka-yoke (pronounced “poke ah yoke”). After all, the philosophic underpinnings of Six Sigma are what lead us to use TRIZ methodology in the hunt for creative, effective interventions. Poka-yoke is an idea that guides us to make it easier to do the right thing. That is, if we want physicians to record some piece of data on patients, we should make it very easy to input that data. If we want someone to be somewhere on time, we should build a system that makes it as easy as possible to get to that place on time. Poka-yoke says we should make it as easy as possible for a system / person to achieve the outcome we want. This is challenging, often, for us in healthcare; we typically don’t see systems designed to make it easier to obtain a certain outcome. We do get plenty of feedback telling us how important something is to do or how we MUST do something. Yet we often have systems that conspire to make it difficult to achieve whichever item is being pushed. However, let me share that processes which make it easier for us in healthcare do exist, and when we help create them it makes for a much more high-performing system. In fact, poka-yoke design philosophy extends to many interventions. For example, one trauma program with which I have participated needed to make sure trauma surgeons arrived to the trauma bay within 15 minutes of patient arrival to the trauma bay. The team needed to make sure this happened more frequently than was typically occurring. The poka-yoke design philosophy allowed the team to focus on specific interventions that made a higher probability the surgeon would be there on time. This included NOT simply focusing on telling the surgeon ‘You need to do a better job’. Interventions included focusing on early identification and triage of trauma patients and positioning the call room physically closer to the trauma bay. This type of poka-yoke design philosophy and associated interventions made it easier to do the right thing and achieve a timely arrival. Now that we see how poka-yoke directs us to look for solutions to make it easier to do the right thing, where do we go to create them? Typical tools that teams use to generate solutions include brainstorming, mind-mapping, and many other standard, creative tools. Here, let’s add another tool to your toolbox that allows brainstorming along certain high-yield directions. TRIZ methodology takes brainstorming sessions and focuses them in directions that are apt to be high-yield. Here’s how. The acronym TRIZ comes from the Russian wording equivalent of ‘Theory of inventive problem solving.‘ GS Altshuller and colleagues, between 1946 and 1985, reviewed world wide patent applications so as to determine themes and manners in which certain problems were solved. Over time, the team identified fundamental conflicts that were at the heart of the many issues which the patents / designs attempted to resolve. For example, some patents embodied a design used to make something stronger yet lighter. These conflicts (and their solutions) were then codified into a TRIZ matrix. TRIZ gives direction to resolve these conflicts by looking to how they have been resolved previously. In other words, TRIZ is the process of codified creativity. An oxymoron? Maybe–yet TRIZ methodology has proven highly effective to accelerate our creative processes in the past. You can use the TRIZ matrix here. Consider this example of TRIZ applied to Six Sigma: one of the challenges in designing a new system involved the trade off between strength of a product and weight of a product. The TRIZ gave us focused ideas on how this problem has been solved across many, many, patents and designs throughout the world. TRIZ focused meetings and sessions allowed us to be creative along certain highly productive lines. In fact, TRIZ methodology assisted us in many of our design projects and even in our DMAIC projects where brainstorming for intervention was more challenging. TRIZ allows us to resolve the fundamental contradictions inherent in a problem in a codified, effective way. In conclusion, TRIZ methodology gives us a focused tool that is often superior to the perhaps more routine brainstorming. Once data have been reviewed and it is time to design an intervention, TRIZ methodology has been very handy for us. There are multiple, online TRIZ resources including here, here and here. Remember, for your next quality improvement project, if you want to solve an issue with the forest in a creative fashion, look towards the TRIZ. 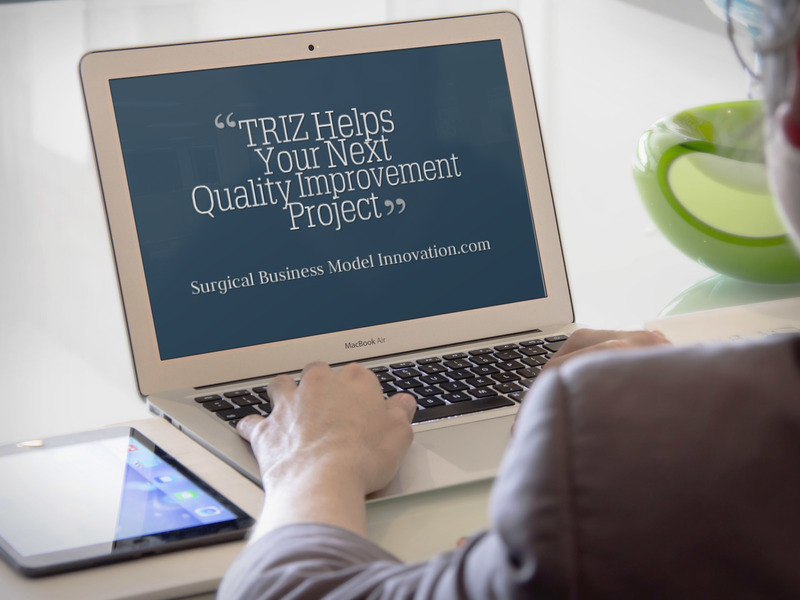 Questions, comments, or thoughts on TRIZ methodology in your quality improvement project? Have you previously seen TRIZ methodology be successful for your project? Let us know beneath. In earlier entries we talked about the DMAIC pathway and some of the different tollgates that make up DMAIC. In any quality improvement project that you perform for your health care system, startup, or established business, one of the most useful tools that the Lean Six Sigma Black Belts use is the project charter. There are many tools from which the black belt can select when they run a project. One of the tools most frequently employed by black belts for each project is the project charter. 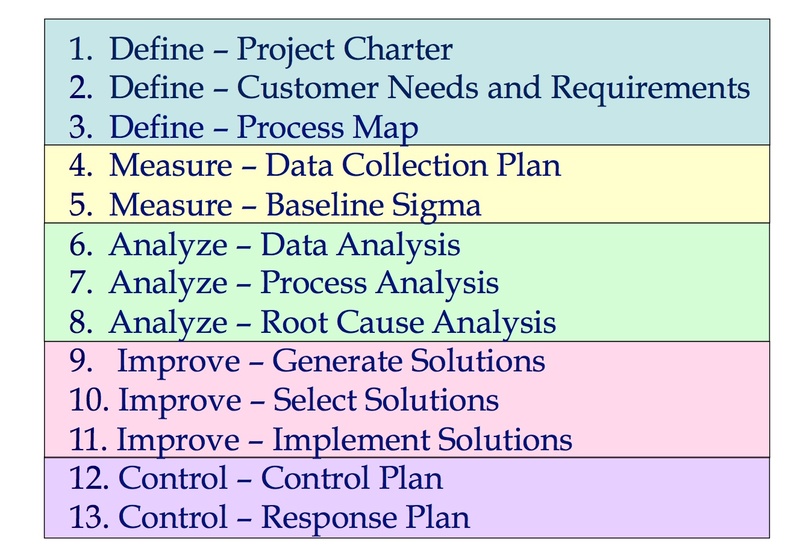 Whether you are a black belt or trying to run an ad hoc quality improvement project for your healthcare system, or working in a formal Six Sigma deployment, the project charter is a very useful tool. Let’s take a moment and explore the project charter. First, the project charter lays out the nature of your project. The title clearly establishes what you are working on. However, to my mind, the three most important elements of the project charter are 1: the stakeholders, 2: the project scope, and 3: the cost of poor quality. We have previously discussed some of these elements. For more information on the cost of poor quality you can look here. The COPQ gives a bottom line expected return on the quality improvement project. This is something that management and other administrators can rally around to get a sense of the impact your project will have on the bottom line. Again, in healthcare, the cost of poor quality can be challenging to establish and is composed of the four buckets described here. Next, consider the stakeholders. Although Lean and Six Sigma do have a substantial focus on math and statistics, it is important to realize that lean and six sigma are team sports. Making it very clear up front who the involved parties are is key to overall improvement. In the absence of a strong team, no improvement can be made. One of the elements of the project charter that we have not described previously is the scope. The scope is the defined interval to which the project applies. By this I mean that we need to be very clear about the start and stop for a project. If the project concerns admitting patients to the hospital we need to be clear that we intend to focus the project on the interval between when the patient arrives at the emergency department until the time at which the patient physically leaves the emergency department. This is how we clearly scope the project. The scope is very key to a projects success because one of the most common issues associated with project failure is called ‘scope creep’. ‘Scope creep’ occurs when the project becomes too large with too many elements. Therefore, defining the scope clearly and adequately at this point in the project is important. There will be later opportunities to clarify this scope during the formation of a data collection plan. In the end, the project charter is one of the most important elements of a successful quality improvement project. It focuses us on the team members involve, the scope of the project, and the projects expected return. 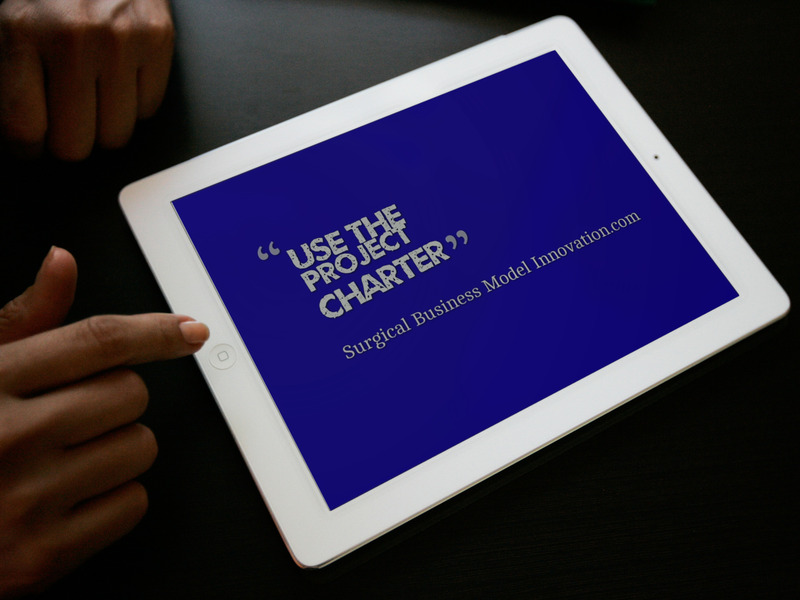 For a sample project charter please click here: charter for blog. Questions, comments, or thoughts on the project charter? Please let us know beneath. Posted on June 9, 2014 Author David	No Comments on Future Attendings? Yeah Right. And on and on. As a graduating resident I find myself bombarded with demotivating, confidence destroying comments and feedback. Even as I interviewed for fellowship, I was encouraged to take the longer training option…from people who had never met me let alone see me in a clinical setting! In almost every aspect of my training I feel the wrong kind of pressure: it’s the kind of critical, demoralizing pressure that kills confidence and raises unproductive concerns instead of the feedback and constructive criticism that will help my colleagues and I grow into junior attendings. I signed on to surgery with an understanding that I would be trained and groomed by surgeons until I was a surgeon myself. It was supposed to be that, during my five (or more!) years of training, the wise men and women would cultivate me into their likeness. My naiveté would be replaced with the knowledge of the mentors who footsteps I followed, and that by the end of my residency I would be a surgeon-product that my predecessors would be proud to let fly and with which they would be proud to be associated. Instead of graduating with cautious confidence and the immature skill set of a surgeon set to succeed on his/her own, I’m leaving my residency with a ticket to fellowship…and a head full of crippling, often useless, and often derogatory feedback. Maybe I assumed wrong, or maybe I’ve too idealistic (unlikely), but I thought being a surgeon was about being a leader…a leader in the trauma bay, in the OR, and in the ICU. So if I’m supposed to be a confident, skilled leader then shouldn’t confidence and leadership be part of my training? 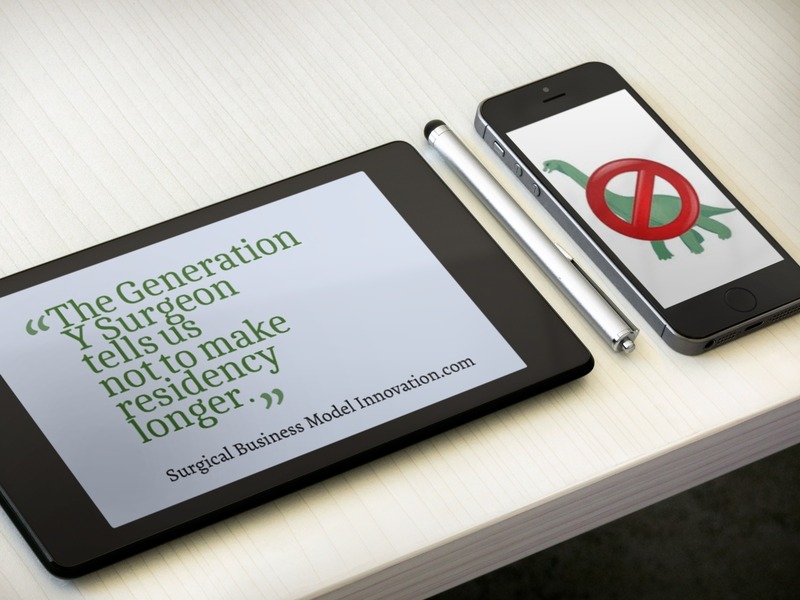 General Surgery News just published an article about a surgeon’s proposal for a fellowship requirement after Surgery (read it here: http://www.generalsurgerynews.com/ViewArticle.aspx?d=Opinions+%26+Letters&d_id=77&i=May+2014&i_id=1062&a_id=27491). This surgeon stressed that his personal views are not those of the ABS; however, these are the personal views of a real thought leader in our field. This article does an excellent job of outlining the barriers we face in improving resident education, including the 80-hour workweek and reduced autonomy in our current hospital systems; however, I don’t think you can blame the 5-year system for any shortcoming. Before another year (or two) is added to the training schedule, aren’t we are obligated to fix what happens within the 5 years? Can’t We Innovate Some Better Way Than Tacking On More Years To A Broken System? For example improving the curriculum (SCORE has been a good first step), increasing dry-lab training and building in some meaningful training in leadership. Furthermore, there’s much room for improvement when it comes to building confidence and loosening the “leash” as residents approach the end of their training. Instead of being treated like a junior resident, chiefs should be treated like the attendings they are supposed to become in upcoming months. It’s not just being able to start a case, it’s being able to run a team and assume the duties of an attending (as well as shedding some of the menial duties of being a resident). This confidence should come not only from the attendings but from how juniors treat the chiefs as well. Somewhere along the way, we’ve lost that hierarchy that used to exist within residency and along with it some of the inherent leadership that came with the roles. I wonder if a mandatory fellowship would solve any of the problems identified in this article, by attendings or residents, regarding the quality of the final products of residency training (graduating chiefs). Is adding time to our training really the answer? I doubt it. We need to change the content and culture of our training to find a better way to use the time we have. I urge you to read the article, especially junior residents and medical students! A mandatory fellowship turns 5 years into 6 or 7 years, maybe more. That’s a long time to be a resident/fellow and that time requirement may influence your decision to pursue General Surgery. If you’re spending that much time in training, then why not go into integrated plastics or vascular? Or a different field altogether like cardiology or interventional radiology? And for physicians who plan on working in rural and underserved areas as general surgeons, this is just another barrier….but that’s a whole other blog entry. 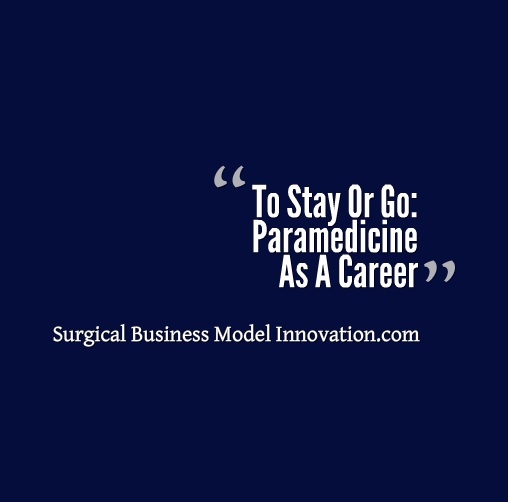 We face physician shortages in all fields these days, and especially in Surgery. It’s important that we find a way to produce confident and effective surgeons and learn to do it in a timely fashion…or soon we will be graduating geriatric surgeons who need crutches both in and out of the operating room! 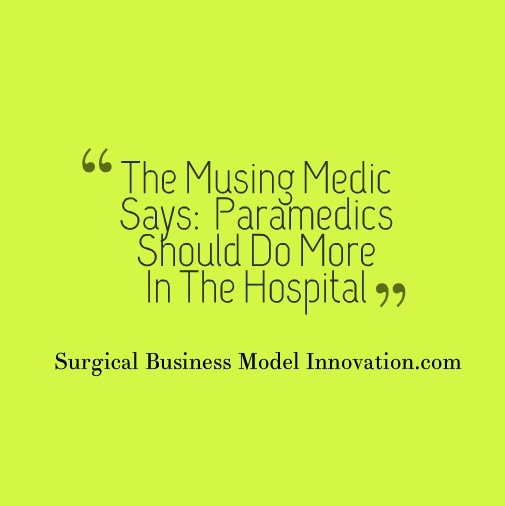 Let me be blunt: paramedics are woefully underutilized in the hospital setting. Typically, paramedics employed by a healthcare system can be found in the ED or on hospital-based response units. This is our comfort zone–our arena. But, in the ED, our training tends to go by the wayside. Our abilities and knowledge are neglected. We are relegated to starting IVs, performing ECGs, and transporting patients. In some places we are able to administer medications, but this usually is the upper limit of what we are allowed to do. So how do we advance the role of the paramedic in the hospital? Is It Necessary Or Useful For Paramedics To Do More? As always, the first thing to do is determine need. Physicians in the ED are constantly bombarded with patients at all hours of the day. Some of these patients require more intensive care and procedures. These procedures take time and delay treatment of other patients. This causes a substantial logjam in the ED. I think physicians could collaborate with paramedics to develop a training program that instructs paramedics on performing common procedures such as laceration repair, I&D, and central lines. I am not insinuating that these procedures are a walk in the park, but I will argue that procedures (for all intents and purposes) can be taught to most people. With enough practice they can be successfully completed. Think about it: send the paramedic in to start a femoral line on a patient requiring pressors, antibiotics, etc. We complete this while you are assessing and discharging the dental pain down the hall. By the time you get back, the procedure is completed. The same can be applied to resuscitations. The physician should act as a leader during these codes and be focusing on the big picture as well as the details. But many times, the physician is tasked with intubations, line insertions, etc. This can be distracting (I have first hand knowledge of this when I’ve run codes in the field) and be a disservice to the patient. Why not charge the paramedic with the intubation (which we do in the field often) or other procedures? I could cover more examples but for the sake of brevity, I will leave it with the two above. I realize that midlevels (PA and NP) are present in many facilities but they too can be taxed with a number of patients. In the days of customer satisfaction and questionable metrics, the best model is proper and innovative utilization of resources. That is where paramedics could come in to use. Potential issues could be resistance from state agencies, hospital administration, and the nursing lobby. If a proper program was developed and the proper channels traversed, there is potential for a new hybrid paramedic to be developed. Perhaps this is all wishful thinking but new ideas are the foundation of positive change.